After introductions we set off from Malvern Rd for the hour long journey to beautiful Nidderdale. We were soon leaving the outskirts of Leeds and heading out to the reservoirs before crossing open country and down to Pateley Bridge where our circular walk began. The weather was favourable, probably the best day of the week, and we walked in sunshine for most of the day. We set off up the main street, passing the famous sweet shop, and headed up along Panorama walk stopping to admire the scenery at the viewing platform which was constructed in 1887 to celebrate Queen Victoria’s Golden Jubilee. We used a series of quiet lanes and tracks passing through Blazefield before picking up the Nidderdale Way to Whitehouses and then down to Fellbeck where we crossed the stream and entered woodland. There were lots of creatures to admire at the numerous farms we passed including Shetland ponies, two magnificent turkeys and a flock of Merino sheep. We skirted the periphery of Brimham Rocks area before joining the main path up to the National Trust Visitors’ Centre. The Gritstone rock formations are awesome, forming a very weird landscape. Boulders appear impossibly balanced and the sculptured shapes have been given names such as Sphinx, Eagle and Dancing Bear. The Visitors’ Centre has plenty of information regarding the geology of the area and how the rocks were formed. There is also a refreshment kiosk and plenty of outdoor seating which we made use of to eat our lunch. After taking some group photographs we started the second half of our walk heading towards Smelthouses and down to the village of Low Laithe from where we crossed the field down to the river, which was well in spate following the rainy spell. 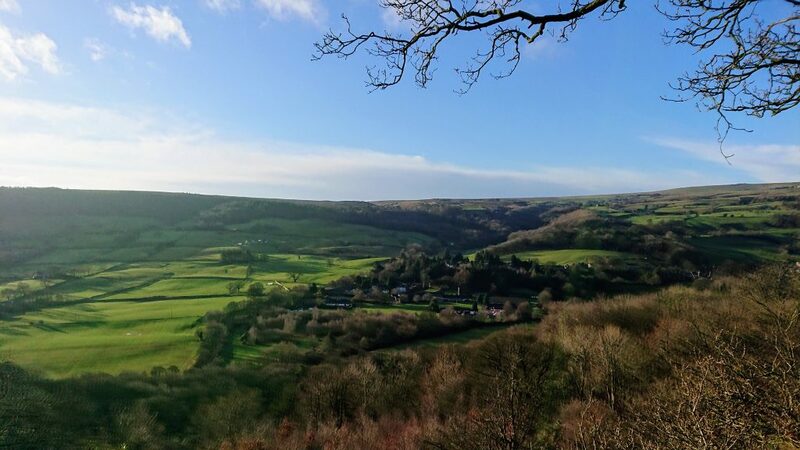 From this point we followed the river back to Pateley Bridge, passing through Glasshouses and by the dam and the very imposing property of Castlestead nestled in its gardens and woodland on the far side of the river. 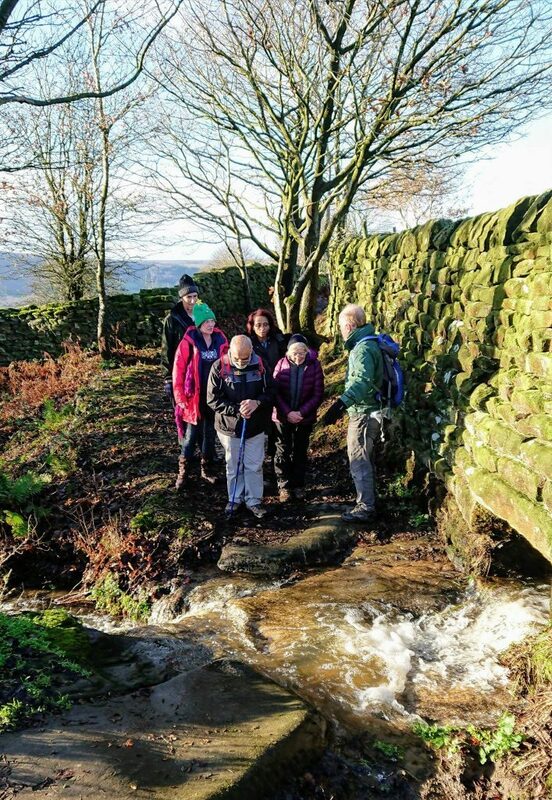 On a personal note I am so pleased to have read about the Walking Group in South Leeds Life and am grateful to Peter, who organises and leads the walks and Hunslet Rugby League Club which provides transport and funds the trips. Apart from the physical and mental health benefits of walking in our lovely countryside, it is good to meet other local people and share positive information about the place where we live. I think it can increase a sense of belonging to the community. I certainly recommend it. If you want to get involved with future walks, which vary from low level walks, like the one above, to walking up Snowdon and Ben Nevis, then contact southleedswalkers@gmail.com. This post was written by Elaine Bower. Photos by Dilwar Ahmed.